Home Unlabelled Huge Giveaway! Meet me in New York this weekend & Free Ticket to Oprah's MUA Reggie Wells Master Classes! Huge Giveaway! Meet me in New York this weekend & Free Ticket to Oprah's MUA Reggie Wells Master Classes! Happy Tuesday! I'm so excited about this weekend. I'm headed to New York for a really great event. Alcone at Home has partnered with the incredible, industry legend Reggie Wells - Celebrity Makeup Artist to Oprah as well as A-Listers including Beyonce, Halle Berry, The Obamas and more. He'll be doing a NY Meet and Greet as well as a ton of Makeup Artist classes for everyone - from the everyday woman to master classes for makeup artists. And I'm doing a giveaway to let one of you attend for free, and a chance to be his model! Check it out! Make sure to check out the video I filmed with details on the event! Here are the details of what's in store! This is a really great opportunity to learn from one of the Industry's bests. He's touched the faces of Oprah, the Obamas, Beyonce and countless more. He doesn't often do industry events so you've got to jump on this opportunity. I'm so excited to learn myself! Always keep growing as an artist. There will also be an Alcone at Home Pop-Up Shop at the event so you can get all the amazing products I've been raving about for the last several weeks. Morning Class Open to Everyone! 9am-12pm: For the Everyday Woman :: Celeb Secrets and Fall Makeup Trends Straight From the Runway $75. 3 hours for just $75? Wow! This is great for anyone who wants a little help in their makeup routine...great for Moms on the Go, Brides who want to do their own makeup, and anyone who wants to step up their routine. I am personally super excited to learn from these classes to improve my skills as a MUA. It's really a great deal. 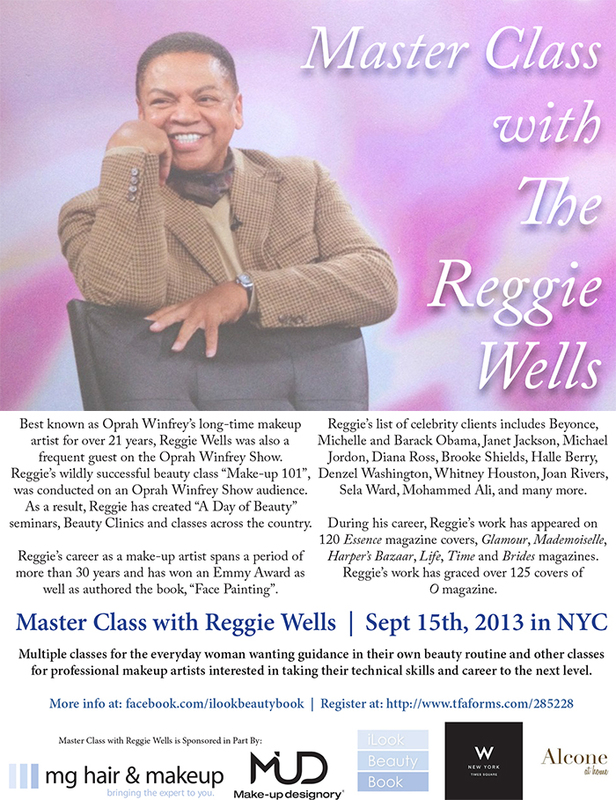 Register for Both PRO MASTER Classes with Reggie for $400 before Saturday 9/13 and you can bring a guest for free! So really, it's just $200 for 4.5 hours of amazing education. The Alcone Pop Up Shop will feature items from the Alcone at Home Line and the Best of Alcone Line and for the pro classes you'll get 30% off best selling brands like RCMA, Embryolisse, Beauty Blender, etc. All you have to do is post a comment on my Facebook Post about why you want to attend the class and what it would mean to you or your career as a makeup artist. The winner with the most likes on their comment on my Facebook post will win the free attendance worth $447! 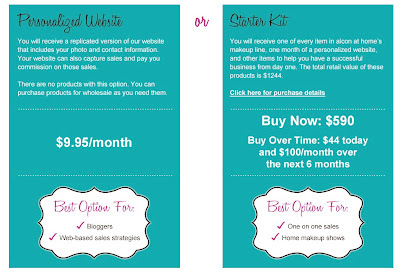 My other two blogger buddies will be in on the action so there will be free winners! Out of us 3, the one with the most likes will be the model! What an honor! The winner will be posted to the Alcone at Home Facebook page on Friday. ***Who's coming? I've booked my flight and hotel on my own dime because this is an event I do not want to miss. I can't wait to meet you all! Take advantage of this opportunity you guys! For my New Yorkers, you've got to participate in the giveaway! Don't forget to post your comment to my Facebook Page.